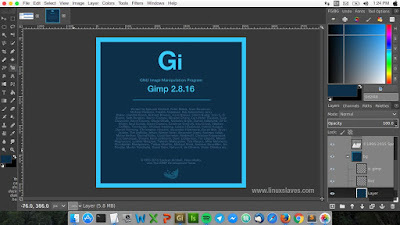 Adobe Photoshop Theme and Tweak for Gimp 2.8 - GIMP is an excellent bitmap graphics editor alternative image editing programs such as Adobe Photoshop or Corel Painter. A powerful open-source tool, so it's free. If you need to transform GIMP into Adobe's suites, here are easy tutorial make it look and work like photoshop. I have 4 installed theme on My GIMP, it's light and dark based theme ( gimp photoshop cs6/cc theme ). 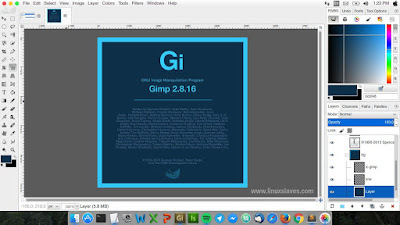 With this transformation and tweak, it may help for who are trying to migrate from Photoshop to GIMP. Check this out! The tweaks include keyboard shortcuts, toolbox icons, modified dock-able dialog and tweaked background color. Please note, these tweaks were created for GIMP 2.8, if you use GIMP 2.9 or higher it may not work properly. Step 1 - Make a backup the original Gimp configuration. Step 3 - Extract the downloaded zip archive. Step 4 - Now place ( Copy or Move ) it in your home folder. Step 1 - Get the PS package file from Github -link available at the last of this post. Step 2 - Extract the downloaded zip archive. Step 3 - Copy the theme folders to the locations depending on your Operating System. Step 4 - Now open your GIMP. Then go to Edit -> Preferences -> Theme. Now change the theme -see the screenshot above for more details. 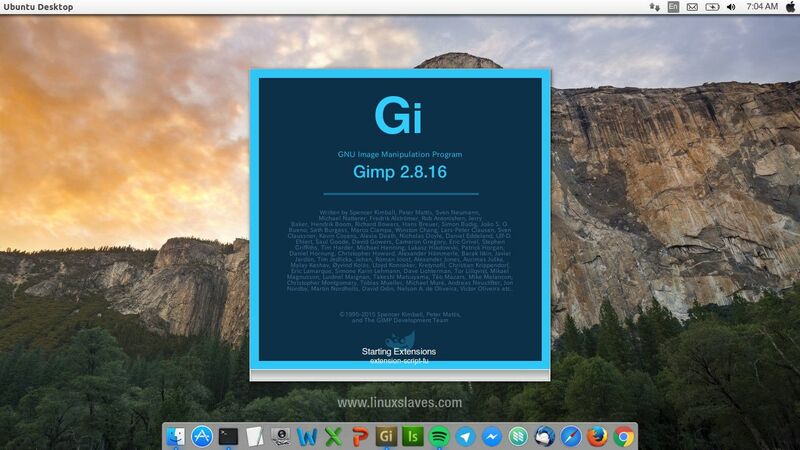 How to change Gimp Splash screen? Just copy it to /usr/share/gimp/2.0/images. Please don't forget to backup the original splash. Or read our post for more details ( also offer two simple splash screen design ) How to Change / Customizing Gimp Splash Screen on Linux. All of attached screenshot are taken from my Ubuntu 16.04 LTS Xenial Xerus with Mac OS X Yosemite theme. If you like the theme, you can read our previous post Macbuntu: Mac OS X Yosmite Theme for Ubuntu 16.04 LTS Xenial Xerus. 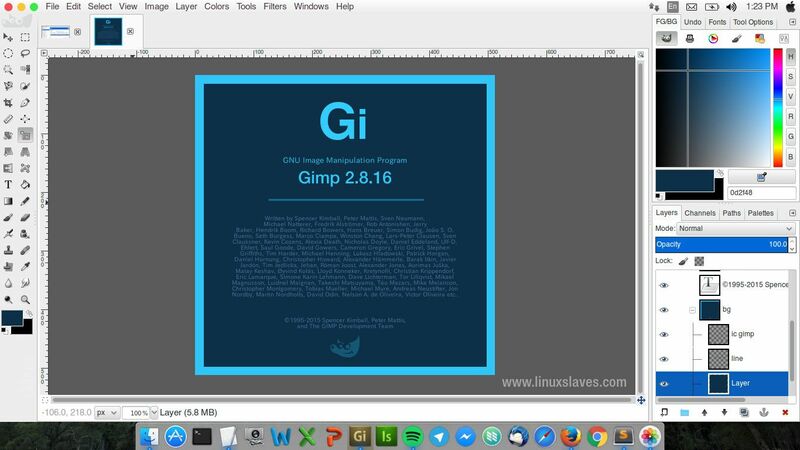 So that's all I can write about a tutorial make GIMP into Photoshop with some tweak and custom splash screen. Hope you've enjoyed reading this tutorial. Thanks for visiting us!